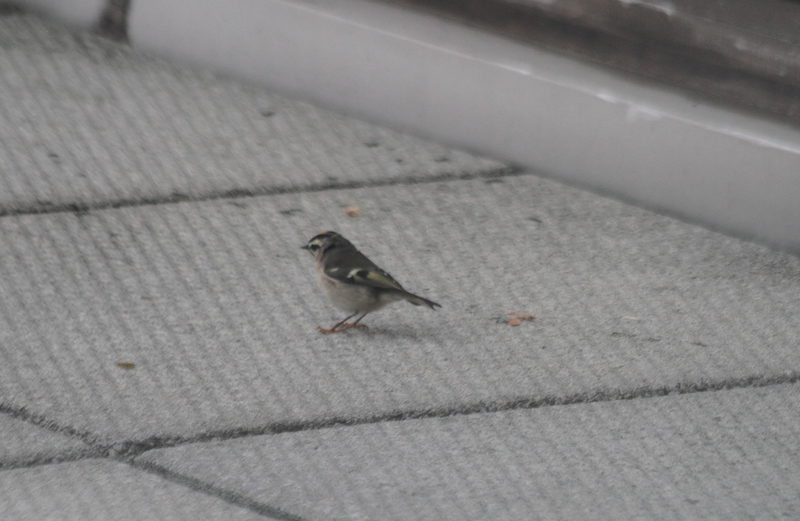 I saw very few birds today due in part to a rainy forecast and a meeting at work, but I am happy to report the birds I did see were all alive and well. And they have dictated this post. 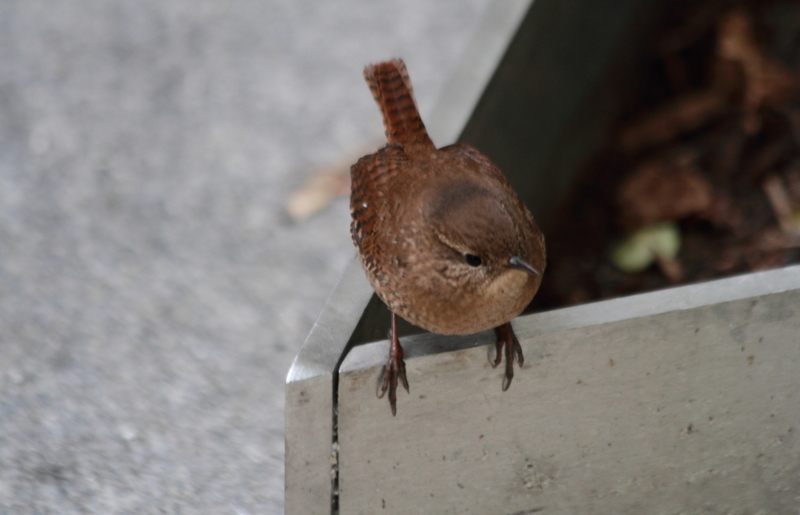 I never tire of Winter Wrens and this morning at 155 North Wacker Drive I had one who was hopping around right in front of me. 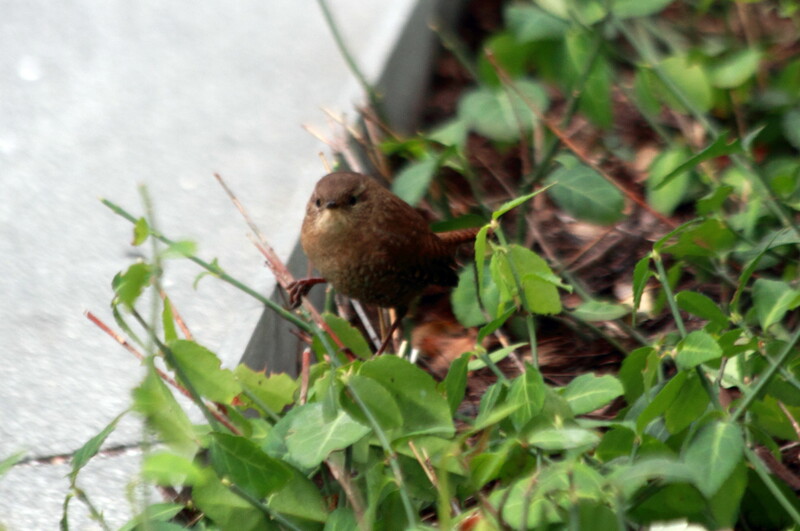 Darting around quickly, Winter Wrens remind me of field mice. 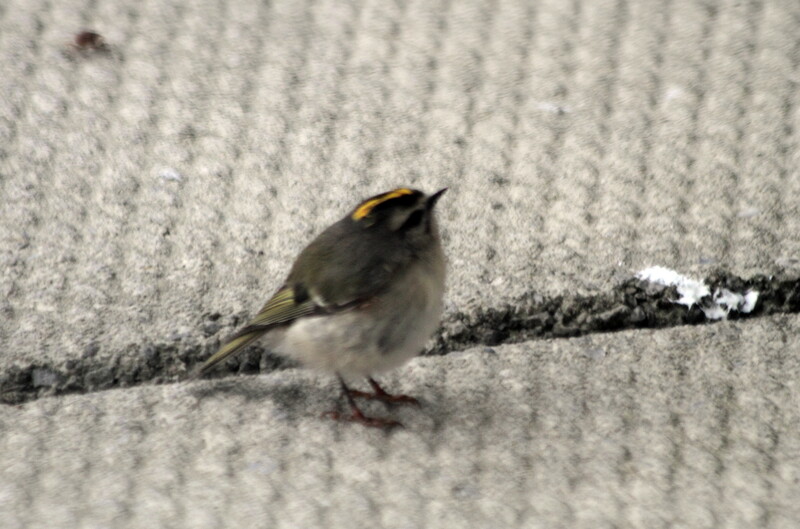 Then up on the 46th floor mid-morning, my coworkers drew my attention to three Golden-Crowned Kinglets who were foraging for bugs ion the balcony. 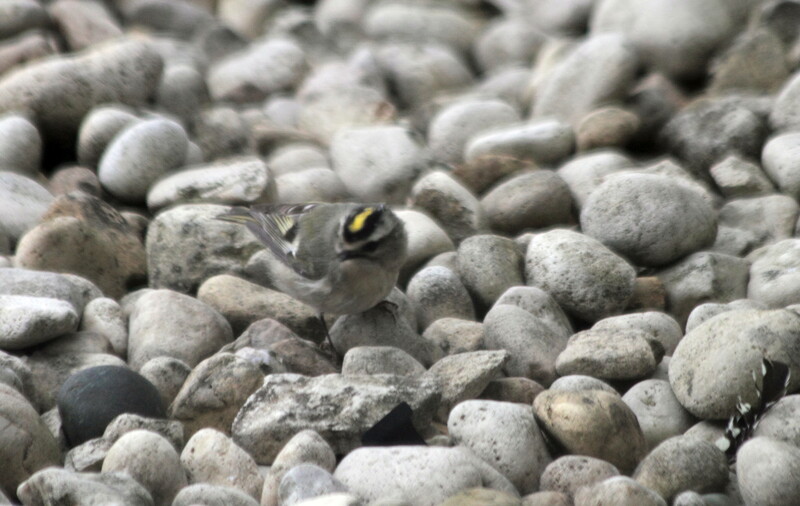 The kinglets kept hunting for at least 15 minutes, which was long enough for me to show them off to at least a few interested people. The attorneys all have spiders hanging webs outside their windows, indicating one can make a good living off bugs all the way up there, so I was not surprised to see birds taking advantage of the insect offering. Unfortunately I had to settle for pictures through the window and the blinds, but these tiny jewels were just close enough to photograph anyway. I wonder if they continued their rooftop forays throughout the city. It’s probably a good strategy, making it easier for them to get their bearings. 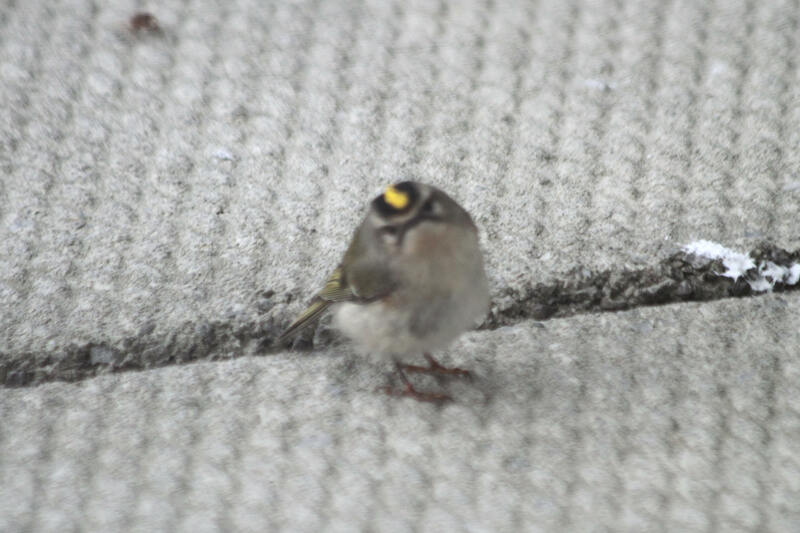 This entry was posted in birds, photography and tagged 155 N. Wacker Drive, Chicago, fall migration, Golden-Crowned Kinglet, Winter Wren by Lisa Rest. Bookmark the permalink. 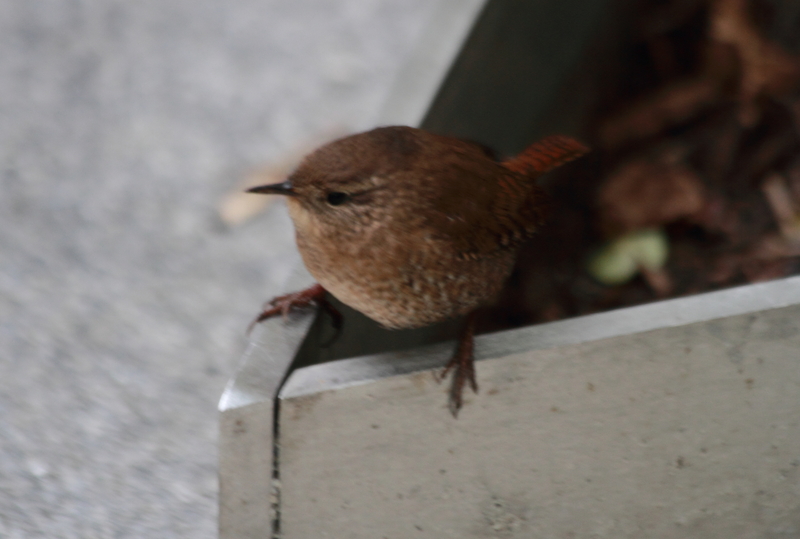 delightful photos…love the little birds..